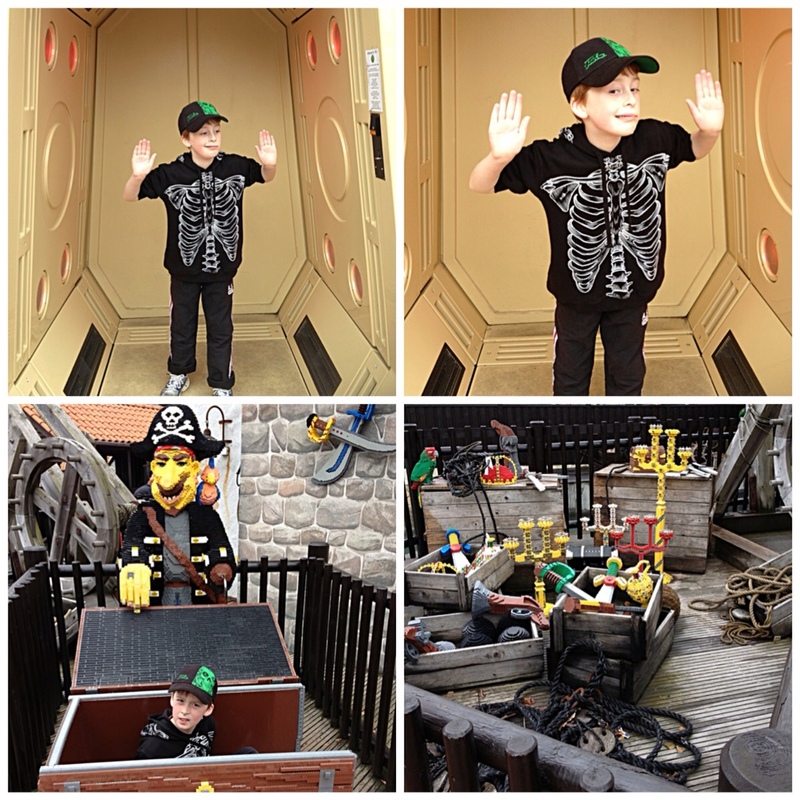 Legoland Billund Resort in Denmark is laid out in themed areas. When you enter, you first walk into Miniland, a huge collection of city scenes and famous buildings from around the world all built out of Lego and landscaped beautifully. 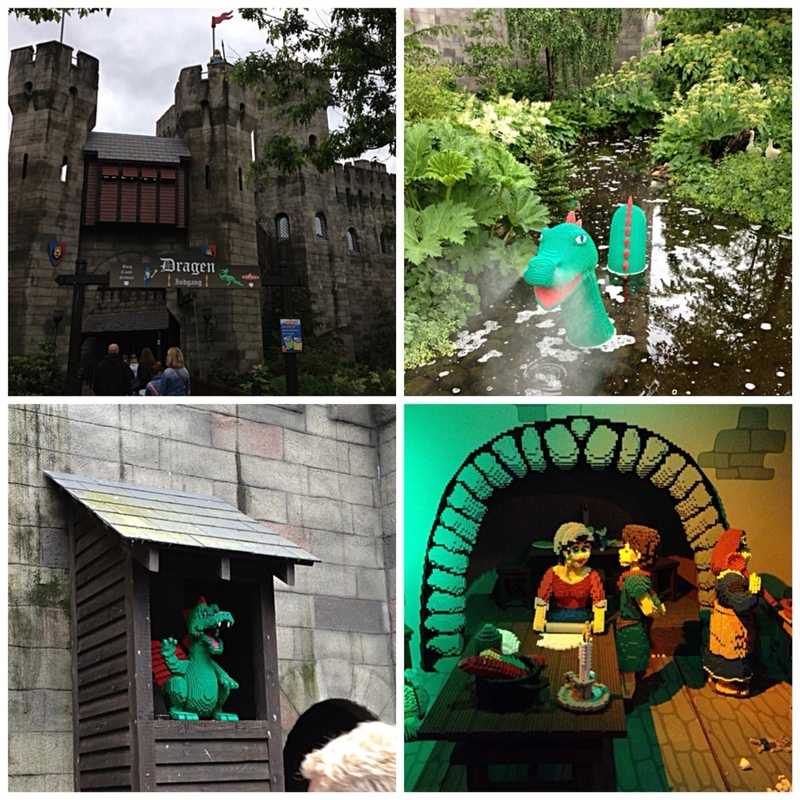 We will post pictures in Parts 3 and 4 of our Legoland Blog Extravaganza! We next visited Pirate Lagoon. The main feature here is a huge lagoon with pirate ships you can ride in. There are water cannons both on the ships and “on land”, beside the Lagoon. So people riding the pirate ships and people standing around the Lagoon can have water battles. Lots of fun, but you end up very wet. Luckily they have drying machines; put in 30 DK and stand in a booth while hot air blasts you and your wet clothes. Our next stop was Knights Kingdom, with its giant castle and Dragen roller coaster. The roller coaster winds through the bottom of the castle, past huge Lego tableaux from the Knights of the Round Table and an enormous Lego dragon guarding piles of treasure. Then it climbs to the top of the castle and flings you down and around for a while. Lots of fun. We rode this 3 or 4 times. 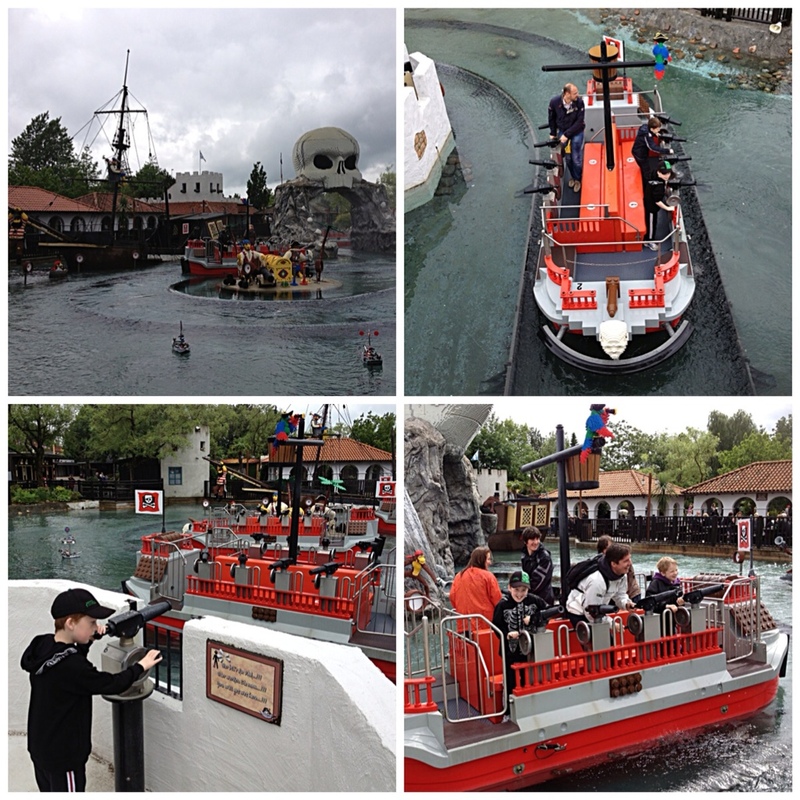 We rode a Lego log ride around Legoredo and a Danish woman who sat beside us said it must be strange for us to find a Western town in Denmark. “I guess”, I replied, but then we worked out she thought our accents were American not Australian! By the way, I have no idea how to pronounce Legoredo! 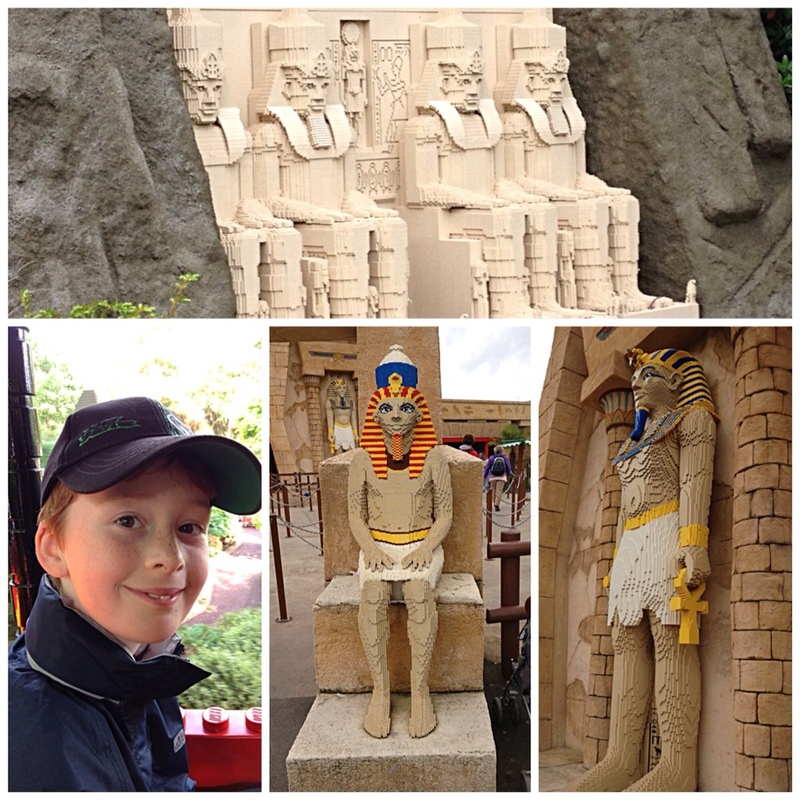 My favourite part of the park was The Temple; an Egyptian themed area with a “Raiders of the Lost Ark” style of ride. You climb into cars and use laser guns to shoot at coloured treasure through a maze inside a pyramid. We rode this one maybe 8 times as Oliver perfected his shooting style and got more points each time. One embarrassing part of the park is that during each ride they take photos of you with strategically positioned cameras. Then they try to sell you your “action shot” after you get off. Our photos inevitably were a fright, with hair and mouths going in all directions! These are just a few snapshots of a very busy day. We also saw a new 4D Chima movie at Lego Studios; the 4D means they throw water over you, for instance, when the characters on screen fly through a waterfall! We also visited Polar Land, Adventure Land, and Duplo Land. And we wandered past a pretty cool mock up of the Kennedy Space Centre in Florida. 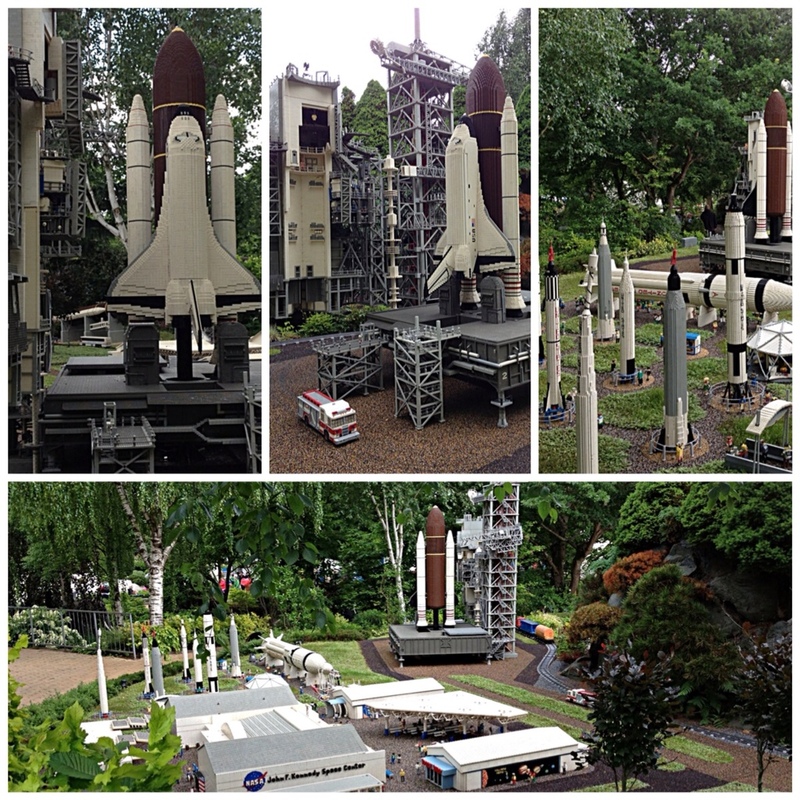 This was part of Miniland, which we will cover in detail in Part 3 of our blog on Legoland. But I just want to say how cool these models are. Many of them have cars and trucks and boats tootling around. The Space one had the rocket counting down and then igniting. It was really amazing! 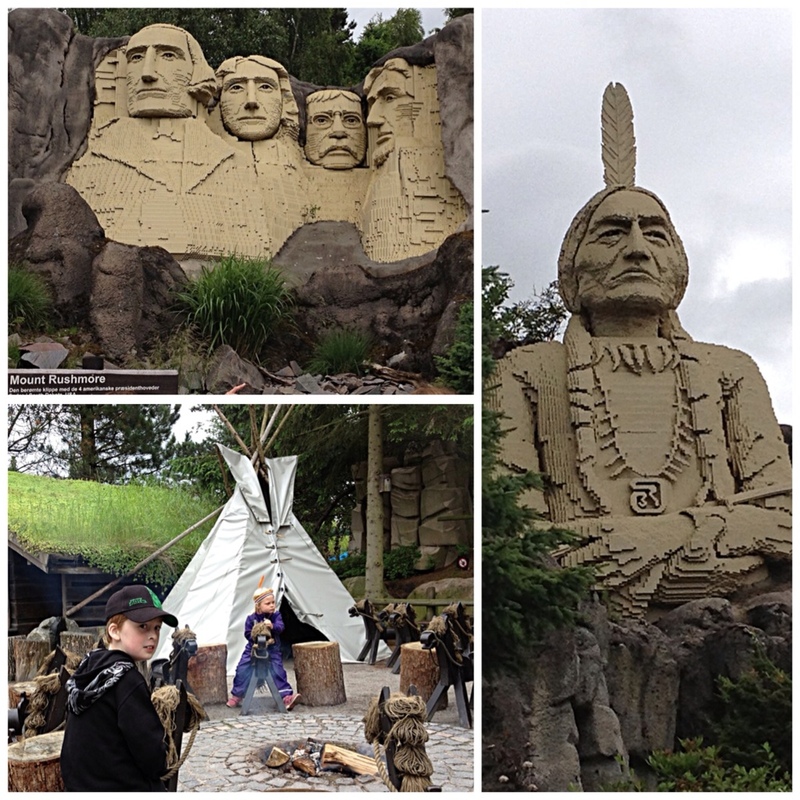 More on Miniland in Part 3 of our Lego Adventure! Nina and I have been really enjoying your posts as you scoot around Europe. 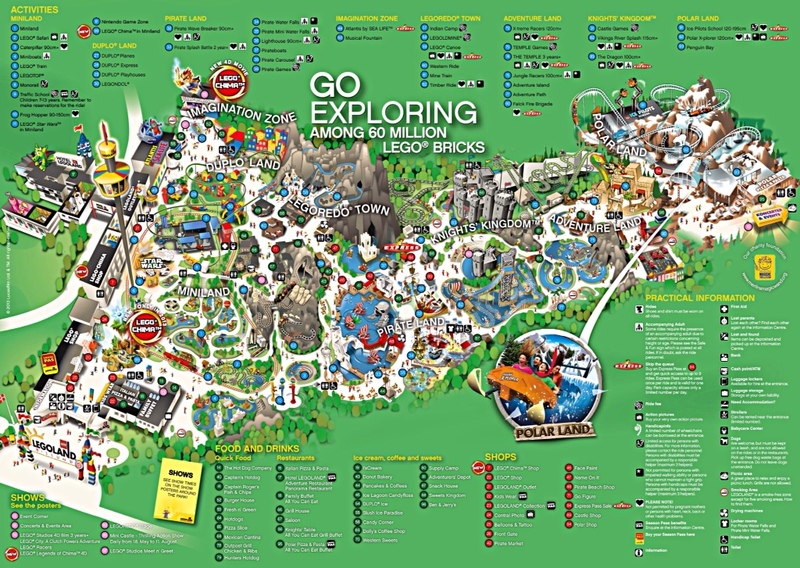 Nina will be amazed to see the photos of Legoland when she gets home (she doesn’t know it yet but she’ll be getting her first, much requested, Lego for her birthday next week). You may well be too tired when you get home, but if you feel like some visitors during the holidays we’d love to come over and you can compare notes with Nina, Oliver, about the places you’ve both been to in London. Thanks Karen and thanks for reading! A visit would be great fun! How about the second week of the holidays? I have to read and assess about 40 grant applications before end of Wednesday (we fly in Monday night) and then have a long selection meeting for the grants, which I chair, on Friday. So the first week will be a write off. But second week will be good. Let’s be in touch re days! And Happy Birthday to Nina! I wish I had of known; I could have picked something up for her at Legoland! We can definitely talk Lego and London.